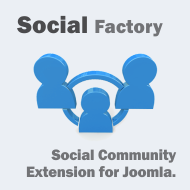 Social Factory is a modern Joomla! 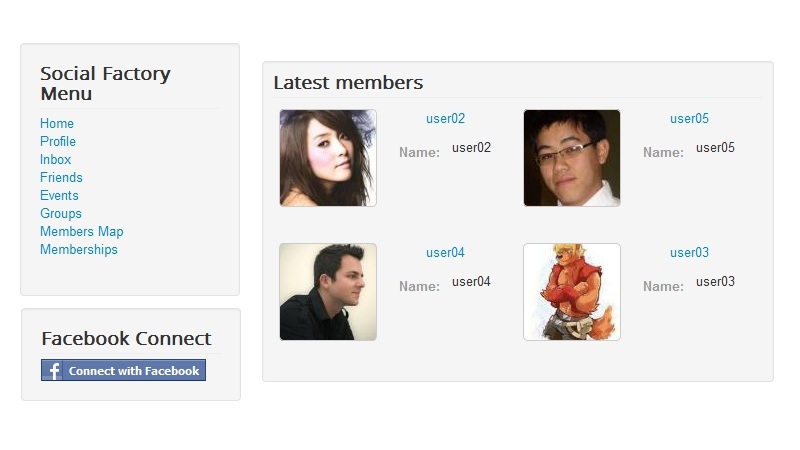 extension that allows you to create a custom Social Networking website or any type of Community website. Social Factory is designed for easy customization and total flexibility. You have to login in order to test all functionalities of our Extension. Just login using the module on the left and play around. You can also test the administrative backend following the link above. To check available Modules, please use the link on the left. Grow your Community - Your Community grows around communication and connections between users.Members can bind friendships, post on the wall, create and join Events, as well as comment on each other's posts.Keep your users engaged and the community will grow! Fully Customizable Profile - Your members can provide any kind of information related to your specific implementation. It does not matter if you run a biker community or a cello playing club - you can create the necessary profile fields and place them on any page you like! Membership Management - You can enable a set of memberships to suite your community needs. Memberships can have limited access to specific features or unlimited access to other ones. Photo and Video Galleries - Community members can easily set up their galleries, share photos and comment on their friends' photos and videos. Social Networking is not only about friend connections but also about sharing thoughts, images and media. User Groups - Social Networking users can join interest groups where they can post information without being in a friendship. Groups help drive the community further and grow the strength of the relationships. Social Factory is built with one main goal in mind - Ease of Customization. Every section, page, field, instance or add-on can be configured, arranged or hidden with a few simple clicks. Every design configuration is visual and intuitive. Unlimited profile custom fields can be created and published in any page, all the pages are also fully customizable with zones which contain the custom fields. The zones and fields can be arranged with a user friendly drag and drop system in the administrator backend of Joomla. Also several additional parameters can be set like “width” or CSS class for the zones in the page. For monetary gain, a full Membership management system is included with the extension to limit or grant user access to specific features. Fully customizable membership plans, payment gateways and Invoicing for administrative purposes will allow you to earn membership fees from your users. When editing the membership, the admin can choose to update restrictions already issued to users. 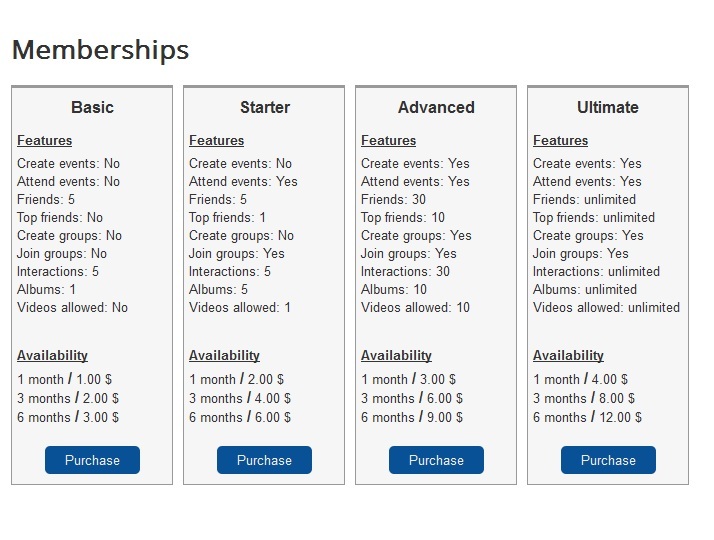 Then via the memberships, users get access to those features. The admin can set under which membership new users register, its duration and under which membership they fall after expiration. A notification interval can be set which informs users when their membership will expire. The system also generates invoices for every payment, where the layout of the invoice can be customized with the help of a WYSIWYG editor. The invoice can include VAT, Seller Info, Buyer Info and membership name. Multiple Integrations are available to extend the Social Factory capabilities. Google Maps can be used to show users location and also a Facebook Plugin is available for Facebook Login. A profile will be created with the synched data within Social Factory. Furthermore, the notifications can be modified, created, unpublished and also a test feature is available, in case you create custom notifications. A feature which should be present in any website today is Reporting offensive contents. With Social Factory users can report any content which can be reviewed by an admin. 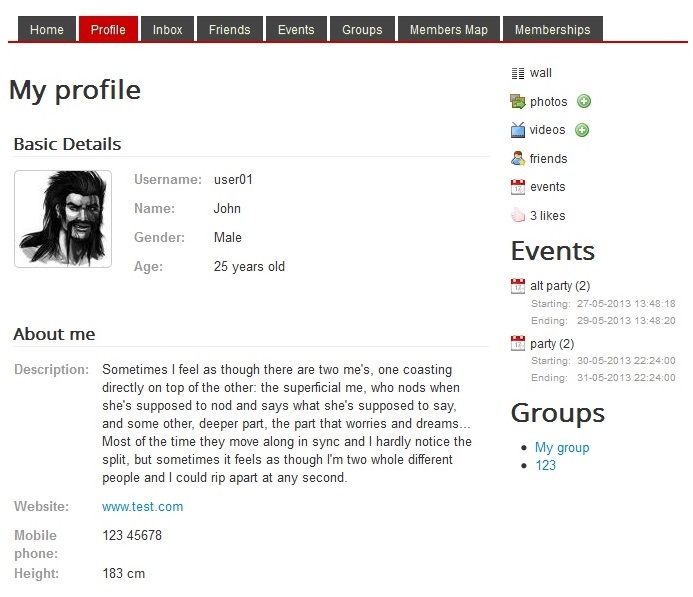 For instance, the users can report Comments, Events, Photos, Profiles, Videos ..